We stayed at a motel in Metropolis on October 11, 2009. I looked down the hallway and thought to myself that this was the creepiest hallway I had ever seen. 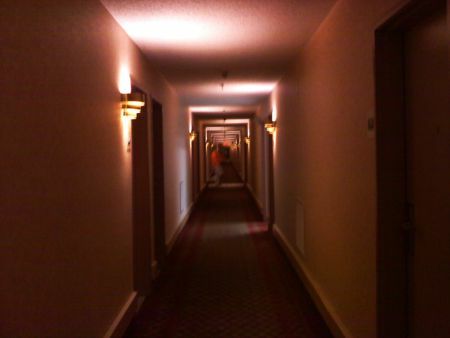 I took a picture of the hallway only to send via picture message and when I looked at the picture to send it, I noticed this figure that was not in the hallway.